Chanteur Rock 'n' Roll US né Ricardo Esteban Valenzuela Reyes, le 13 Mai 1941, à Pacoima (Californie). 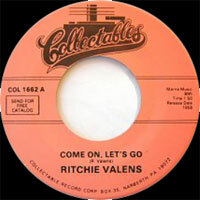 Ritchie Valens a débuté en 1958, obtenant de suite le succès avec "Come On Let's Go" et surtout "Donna". En 1959, il obtenait un troisième hit avec "La Bamba". Il meurt le 3 Février 1959 à 18 ans dans l'accident d'avion qui coûta la vie à Buddy Holly et à Big Bopper. D'après Waylon Jennings, ils auraient tout deux joué aux dés la dernière place disponible dans l'avion. Ritchie l'ayant gagné, lui aurait dit: "Gee, c'est la première fois que je gagne dans ma vie !". 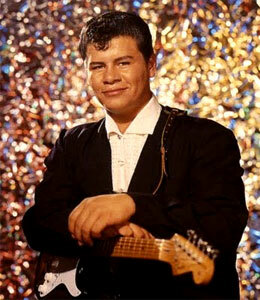 The first Hispanic rock star, Ritchie Valens will forever be known as one of the two musicians (along with the Big Bopper) who perished with Buddy Holly in 1959, when their private plane crashed in the midst of a Midwest tour. 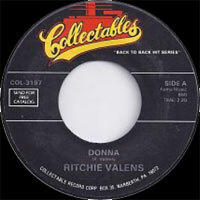 At the time, Valens had only recently established himself as one of the most promising young talents in rock & roll, just barely missing the top of the charts with "Donna," a number two hit, and pioneering a blend of rock and Latin music with the single's almost equally popular flip side, "La Bamba." Like many rock stars who died prematurely, it's difficult to assess his unrealized potential; he was only 17 at the time of his death, and had just barely begun to make records. 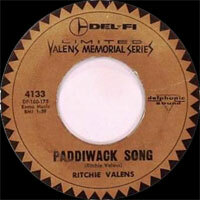 Nevertheless, Valens' music has endured for decades. Ricardo Esteban Valenzuela Reyes was raised in a Mexican-American household in the San Fernando Valley. He played several instruments as a child and eventually devoted most of his focus to the guitar, learning a right-hand version of the guitar despite his own left-handedness. 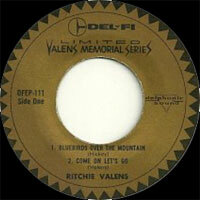 Valens' musical influences were diverse, running the gamut from Little Richard and rockabilly to traditional Mexican genres like mariachi, and his talent on the guitar earned him a spot in a local band, the Silhouettes, when he was 16. Valens eventually became the band's frontman. 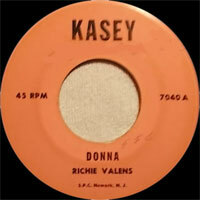 While playing at a local movie theater in 1958, he was discovered by producer Bob Keane, who signed Valens to his Del-Fi label and convinced him to shorten his surname to "Valens," claiming the abbreviated version had broader appeal than "Valenzuela." Under Keane's wing, Valens entered a Los Angeles recording studio in July and emerged with "Come on Let's Go," which climbed to number 42 on the national charts. 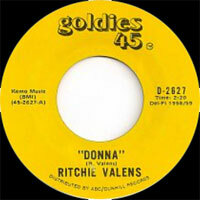 By the end of 1958, Valens had quit high school in order to focus on his career, which had skyrocketed after his second single, "Donna," climbed to number two. 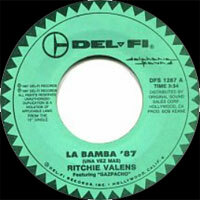 Also enjoying a good amount of popularity was the single's innovative flip side, "La Bamba," a rocked-up Mexican folk song performed entirely in Spanish. 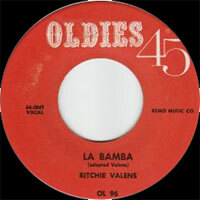 "La Bamba" featured some fierce guitar work, as well as the thick sound of the Danelectro bass, which gave the instrument more electric presence than it had previously enjoyed on any rock & roll disc. 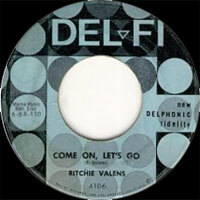 Valens was subsequently hailed as one of rock & roll's teen idols, and he hit road in early 1959 alongside Buddy Holly, the Big Bopper, Dion & the Belmonts, and Frankie Sardo. Billed as "the Winter Dance Party," the tour was originally scheduled to hit 24 Midwestern cities over the course of three weeks. The musicians all shared a single bus, whose heater broke several days into the tour, worsening the long drives between each show. By the time the Winter Dance Party rolled into Clear Lake, Iowa, on February 2, Buddy Holly had grown tired of the chilly conditions and decided to book a plane in order to fly to the show's next stop. After that evening's show at the Surf Ballroom, Holly boarded the plane along with Valens and J.P. "The Big Bopper" Richardson. The aircraft crashed several minutes after takeoff, though, instantly killing pilot Roger Peterson along with all three of his passengers. 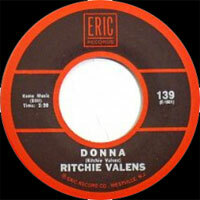 Ritchie Valens was 17 years old. Valens only had about two albums' worth of material in the can, as well as some lo-fi live tapes of a gig at a local junior high, before his death; undoubtedly, some (or many) of these were demos or unfinished tracks. 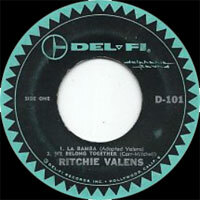 Other singers emulated Valens' Mexican-American brand of rock in the following years, most notably Chan Romero (originator of "Hippy Hippy Shake," who also recorded for Bob Keane's Del-Fi label and used some of the same musicians who had backed Valens) and Chris Montez. In the 1980s and 1990s, the L.A.-based Latino rock band Los Lobos were often cited for reflecting Valens' influence, and groups like Los Lonely Boys carried the torch of Chicano rock into the 21st century. Meanwhile, the 1987 film La Bamba (whose soundtrack heavily featured Los Lobos) gave his story a glossy Hollywood makeover, exposing Valens' legacy to millions even as it introduced the usual distortions and factual errors in its dramatization of his brief life. 1958 EP DEL-FI D-101 (US) . 1987 SP DEL-FI DFS1287 (US) .